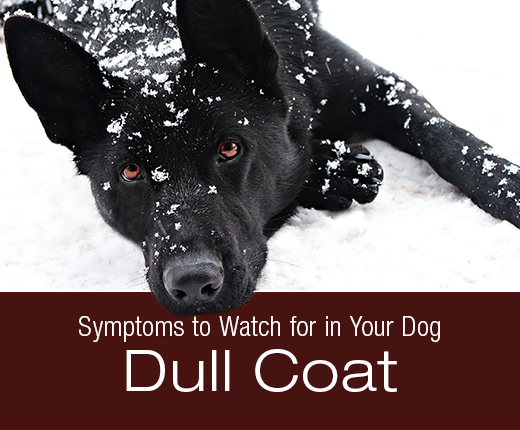 Symptoms to Watch for in your Dog: Dull, Dry Coat | Dawg Business: It's Your Dog's Health! The skin and coat do serve essential functions. However, when the dog's body lacks nutrients or has to battle with illness, there are higher priorities than skin and coat maintenance. The brain, heart, and other organs are a little bit more critical to survival. Changes in skin health and coat quality are an early warning that something isn't right. Naturally, an acute illness wouldn't have time to send any warning through the skin and coat quality. Chronic nutritional deficiencies or illness, however, do. A healthy coat is full, shiny, and soft, with no areas of hair loss. A lustrous coat means a healthy dog. With the exception of your dog getting into dirt or mud, of course. Cookie's coat wasn't very shiny after she was done that day. What does a dry, dull coat mean? Healthy skin and coat need an abundance of protein, fat, vitamins and minerals. The good news is that many dogs can get their coat back to its luster by merely optimizing their intake of omega-6 fatty acids; linoleic acid. Because omega-6 fatty acids are needed to form cell membranes and are involved with immune function, kidney function, and other vital processes, that's where the body will send them first. Skin and coat get if there are any left. Fortunately, revisiting your dog's diet or simply supplementing a little bit of vegetable oil can often fix dull, dry coat easily. When your dog is shedding, your dog's coat will look dry and dull simply due to the undercoat making its way out. Regular brushing not only helps remove dust and dirt but also helps to activate oil production and distribution along the hair. If your dog is well fed (a complete and balanced diet) and well groomed and still has a dull coat, you might be looking at a systemic problem. If your dog's skin is unhealthy, the coat will suffer as well. Perhaps your dog doesn't digest or absorb their nutrients well, suffers from hormonal imbalances such as Cushing's or hypothyroidism, or diabetes. Jasmine's coat appearance declined greatly before she was diagnosed with poor thyroid function. Digestive disturbances such chronic diarrhea, parasites, and cancer will reflect in a dull, dry coat. Even chronic stress can affect the appearance of your dog's coat, likely due to high cortisol levels as well. 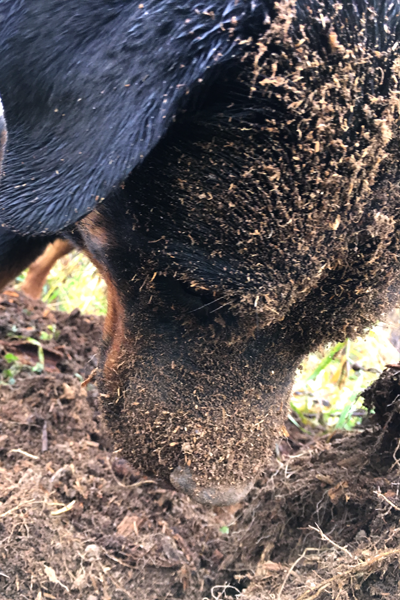 If your dog is getting good nutrition with sufficient levels of unsaturated fatty acids and is groomed well and their coat is still dull and dry, be thankful for the early warning and see your vet to investigate what is behind it.